Healthy body is the wish of every human being. Everyone wants a healthy body to stay fit and active. The hectic schedule and inappropriate eating habits of people affect the overall health of the human being. In the last few years, every human being is very much conscious about his health. Everyone is using different ways to stay active and active. Nowadays, there are many fitness centers that help you to stay fit using various physical activities. Gyms are increasing day by day and providing various fitness techniques using qualified trainers, equipment’s and proper diet. Let’s check the list of the top 10 best Gyms (fitness centres) of India in 2019. This fitness center started in 2002, in Delhi. It is the first fitness center, which is awarded and certified as ISO-9001-2000 and ISO-14001. This fitness center was also awarded with the, Indira Gandhi Priya darshini Awards. It is one of the Eco friendly fitness centers. Ozone fitness health center is one of the luxury health clubs of India. This fitness center is mostly known by his name as O3. This fitness center has around 30 thousand members, each with best equipment and experienced trainers. This fitness center provides various fitness techniques including spa, gym, yoga, aerobics exercises and other programs as well. This fitness center started in 2004 and it has around 30 branches in India. The headquarters is situated in New Delhi. This fitness center has around 20 thousand members. This fitness center uses the advanced technology for fitness. This fitness center provides different facilities to stay fit, including Ayurveda, gym, Aerobics and Spa. This fitness center delivers you world class fitness. The aim of this fitness center is to provide overall fitness to all individuals. The brand name fluid fitness aims to deliver fitness by providing only gym facilities. This fitness center started in 1999. Its headquarters is located in Pune, Maharashtra. This fitness center has around 25 thousand members and more than 50 centers in India. This fitness center offers a wide range of fitness and workout techniques. This center has well trained staff and modern equipment’s for individuals. This center also delivers useful health tips including diet and workout tips to every individual. This fitness center started in 2008 and its headquarters is located in Chennai. This fitness center has around 100 centers in India with 20 thousand customers. This fitness center provides you various programs and therapies including like Fitness and Sports Training, Nutrition and Physiotherapy. It is one of the most famous gym in India. The main aim this fitness center is to improve the quality of life of all people by providing them better fitness technique. This center provides the best fitness solution and always tries to improve their services. This fitness center was started by by Mr. Vijay Thakkar and its headquarters is located in Mumbai. It provides fitness with training solutions for the overall fitness of the individual. The center has excellent environment for delivering and getting fit. It delivers different fitness techniques according to the requirement of the individual. This fitness center is the star rating for delivering luxury and comfort in fitness. It is one of the premium gym in the Mumbai and has an area of 10,000 sq. ft. This fitness center has around thousand members and an average of 75 members increases every year. Every individual is motivated to achieve fitness goal using different workout plans. In 2015, this fitness center won the award of Best Fitness Centre of the Year. In 2003, this fitness center was started by Peter Taunton in US. Its headquarters is located in Minnesota. This fitness center was started in India in 2008 in Bangalore. This fitness center has around 2500 centers in all over the world with 40 thousand members and in 1450 places. In India, it has around 60 centers in all the major states and cities. This fitness center provides world class training as it has very experienced trainers from all over the world. This fitness center uses advanced techniques with first class equipments. This fitness center provides 24 hour gym facility. The center also offers gifts and discounts on some occasions. This aim of this fitness center is to provide the result, according to the need of every individual. This fitness center was started in 1993 and its Indian headquarters is located in Gurgaon. This fitness center has around 540 centers and around 1.5 million members in the whole world. This center has good quality equipment’s and experienced trainers. Fitness experts provide new and latest fitness techniques and exercises that improve the overall body structure. It is one of the largest gym centers and its headquarters is located in USA. The center has its branches in all the major cities of India. This fitness center guarantees and provides the result what an individual wants. They also use various motivational programs for achieving goals. This fitness center was started in 2002 and this is a 24 hour fitness delivering center. This fitness center provides you various facilities in the center including training, fitness programs, high level fitness equipment’s and many more things. This center provides training in 20 countries and has around 2 million customers. It has around 3 thousand centers in all over the world. This fitness center also provides its app through which you can get training by taking membership. This fitness center increasing day by day and also provides its franchise. This fitness company is mainly an American company and is started by Mark S. Mastrov in 1983. This company has around 1800 full time employees. This center also provides free weights, pool, spa, cardio exercises, battling ropes, kettle bells and many other things. This fitness center started in 1932 and its headquarters is located in New Delhi. This fitness center has around 500 fitness centers in 75 cities of India. This fitness center has around 2 lakh members. The center is also equipped with high and modern level equipment’s and experienced trainers. It is one of the best fitness centers for its best services in all over the world. This fitness center delivers a better lifestyle to every individual. It provides many workout tips and programs to each and every individual. This center also invested 100 crore in his coming projects. This center also has international experienced trainers that help every customer in the gym. This is one of the best and biggest fitness centers in India. This fitness center started in 2003. In India, it has around 700 centers. It also provides membership, which cost between 1 lakh to 1.5 lakh. This fitness center is equipped with international fitness equipment’s and has also well trained trainers. 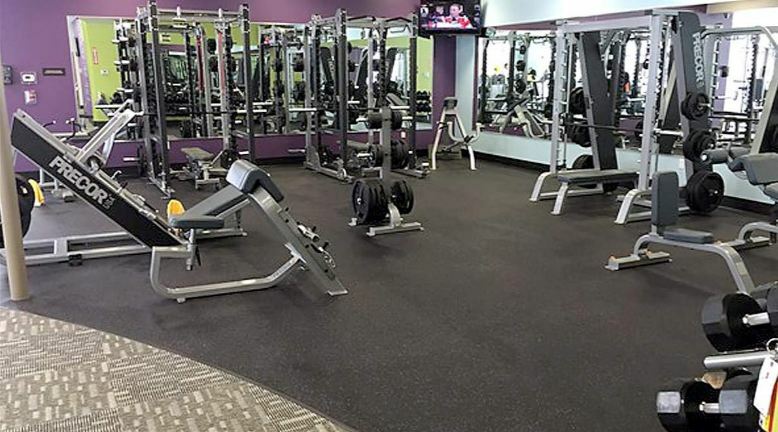 This fitness center also provides various workout techniques, programs, group exercises and motivational programs to each and every individual. It is one of the most luxurious and best gym of India. This gym was firstly started in California by Joe Gold. This gym also provides personal trainers for individual. This gym increases the strength, stamina and reduces the stress of their customers. This center also delivers salsa, yoga, circuit training, cardio and various other classes. In the life full of hectic schedule and stress, the fitness centers aims to provide you overall fitness. Fitness center does not only provides workout techniques, but also provides various other programs including Cardio, yoga, spas, massage, dance and many other things. As there are many gyms in India. Here is the list of best fitness gym in India. If you want a first class health and body, then join any of these fitness gyms. You get the guidance of experienced trainers and this helps to provide you world class fitness. There’s new Gym chain called “Rhinos Gym India” launched in India. The gym is super awesome.